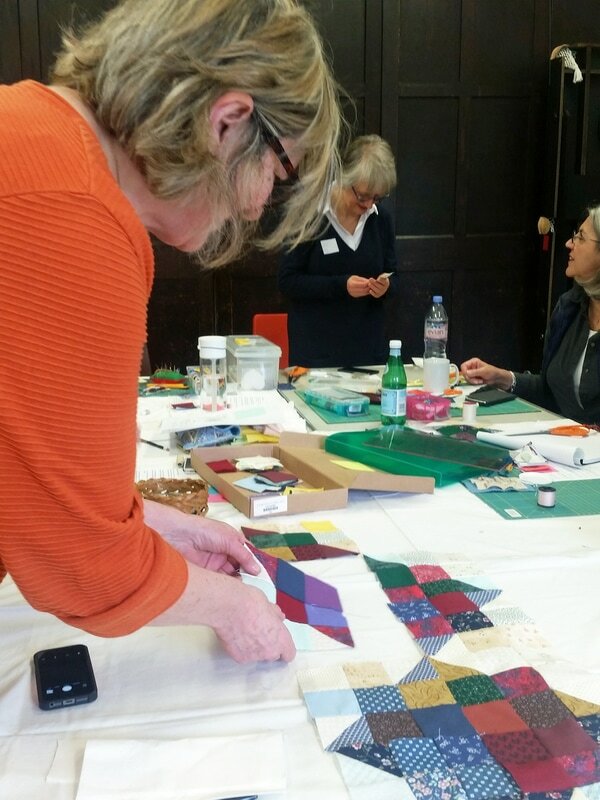 ​London Quilters’ first ever class for beginners, held at the Free Church Hall in Hampstead Garden Suburb on April 29, was a huge success. The venue was bright and airy with a table large enough for 14 of us to sit around comfortably. 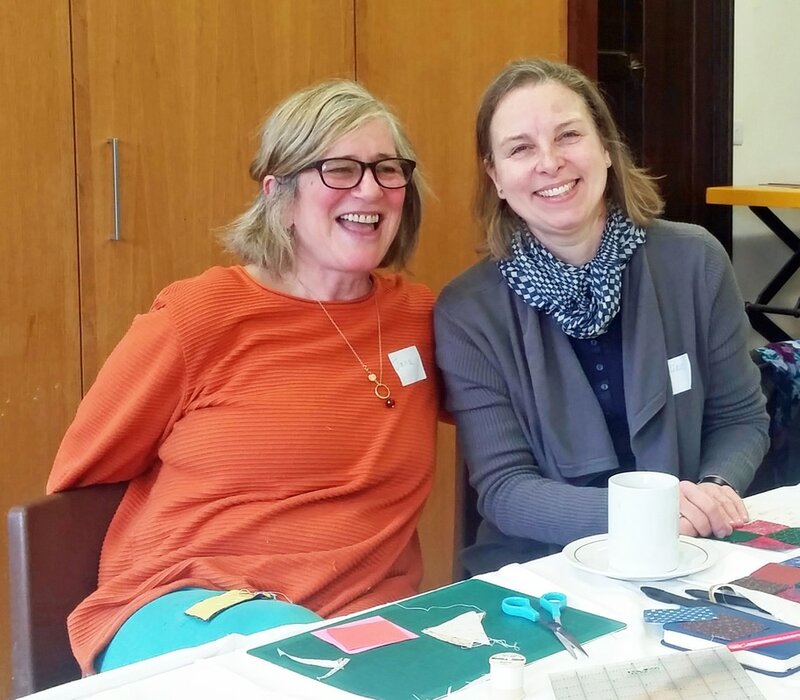 Best of all were the two fine teachers: Diana Darrer and Maggie Paykel. 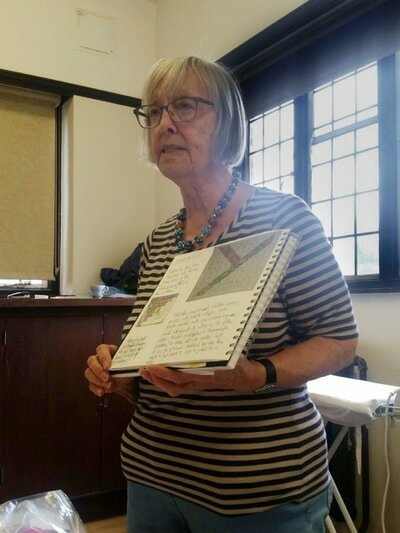 In the morning, Diana handed out light and dark squares and showed how to put together the nine-square combo that was the basis of the amazing exhibition quilt. 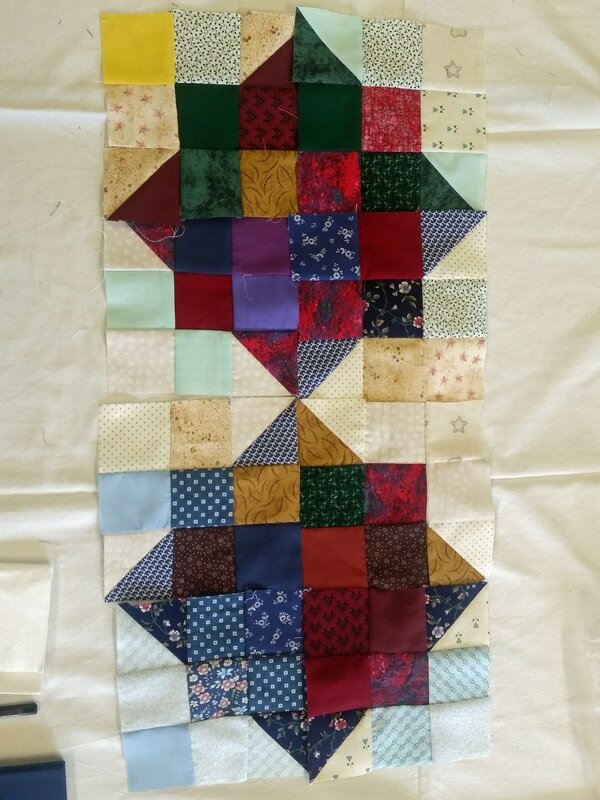 It was a simple, very pleasing project with plenty of oohs! aahs! & wows! 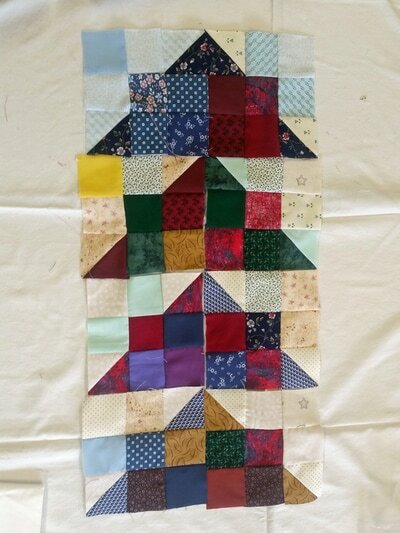 when Diana showed how the finished squares could create such different patterns - as if by magic. 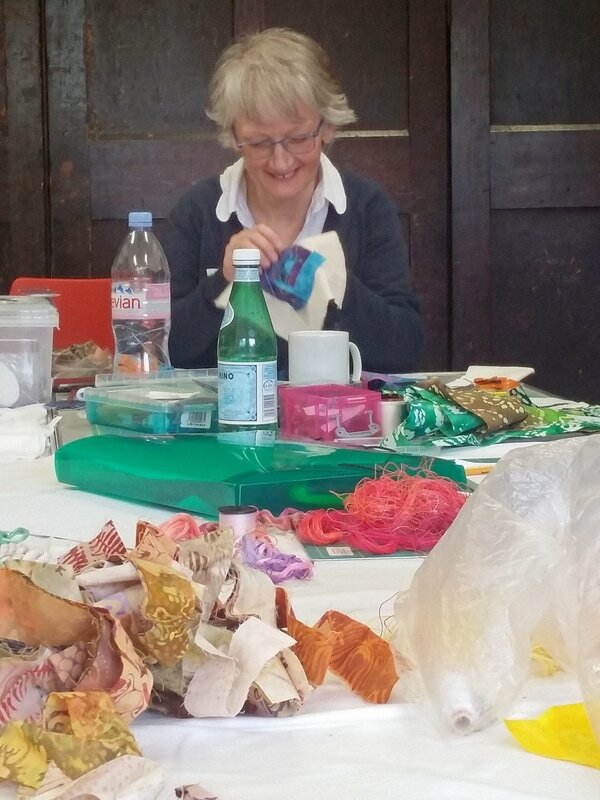 During the afternoon, under Maggie’s tutelage, we took long strips of excitingly patterned material to make log cabins - with instructions to avoid being perfectionist at all costs. It was an opportunity to pick up on the potential for creativity by bending the rules on log cabins, and hence perhaps quilting rules generally which I think was Maggie’s plan. 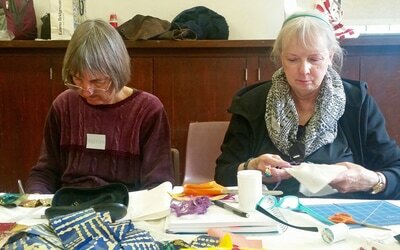 Attendees varied from genuine novices to accomplished seamstresses. 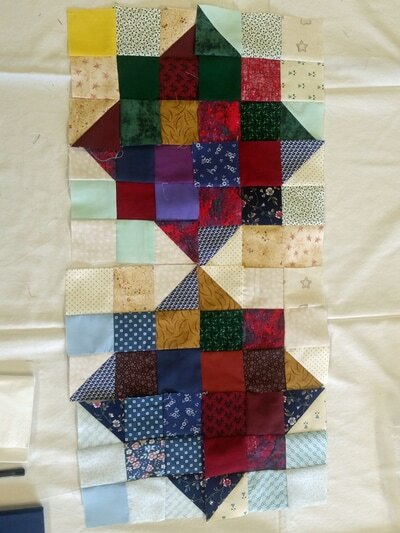 Some, like me, came at least partly for the social side, an all day quilting party as an opportunity to get to know sewing skills and fellow quilters while producing something that might just be the first step in something bigger. A day well spent and the first of many such events I hope.